Fresenius Kabi (Nanchang) Co. Ltd. is located in Nanchang, the capital of Jiangxi Province in southeastern China, the third largest city in central region of the country, and also belongs to the Nanchang State Economic and Technological Development Zone. Previously known as Clinico, the plant was built in 2003 and acquired by Fresenius Kabi in 2005. The completion of Asia-Pacific Hub in 2014 made this plant to the most important Hub of delivering goods directly to Asia-Pacific Marketing Units, enabling it to save logistic costs and lead times. Further steps to extend the production unit and capacity of the plant have ensured the facility to be one of the most dynamically growing production sites in the global chain of Fresenius Kabi, operating on an outstanding service level and serving the global market. This manufacturing site has profound expertise in efficient manufacturing of high volume disposables. Its extensive product range comprises enteral MD Sets, Volumat Lines sets, infusion and transfusion Sets, as well as MS VS sets, extension line IV, transfer system IV and IV accessories. Injection molding, extrusion, automated assembly, hand assembly, flexlink line assembly, packaging as well as ETO sterilization belong to the key competences of the plant. The Nanchang production site operates its own laboratory for physical test and analysis and a clean room of ISO Class 8 of 2788 square meters. In addition to that, it is planned to extend it until the end of the year 2018 to 5288 square meters. Running 24 hours 7 days a week, the plant now covers an area of 65000 square meters and employs nearly 900 people. Through increased degree of automation, it could decrease the need in manpower, assuring stable product quality and high efficiency. Besides its production unit, it has its own quality management, SCM, technology and industrialization as well as administration departments. 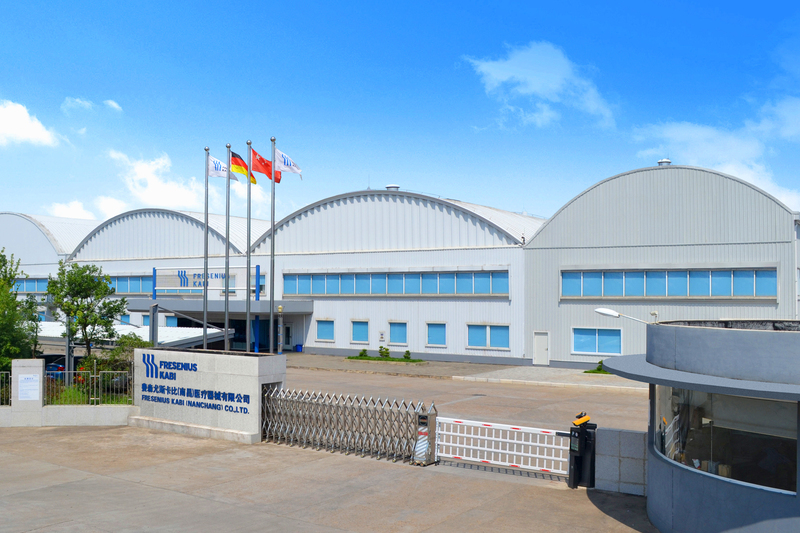 Our production site in Nanchang is certified by TÜV SÜD and CFDA with ISO 13485, ISO 9001, CE and MD GMP. It stands to its quality policy and is committed to be a world leader in providing high quality, safe and effective medical technologies, carrying out this commitment through understanding and consistently meeting customer requirements, maintaining an effective and conforming quality system as well as pursuing continuous improvement.